According to Fox News’s Andrew Napolitano, there’s a coup in the works in the House. He says congressmen are telling him that Republicans in the House are very unhappy with Boehner and want him gone. Is that plausible? Absolutely. In fact, Boehner already came very close to losing the speakership and managed to hang on mainly because the Republicans who wanted to oust him couldn’t coalesce around a replacement. This time around, in a crucial battle, Boehner and his leadership team worked with Democrats to pass a bill that 2/3 of his caucus opposed. 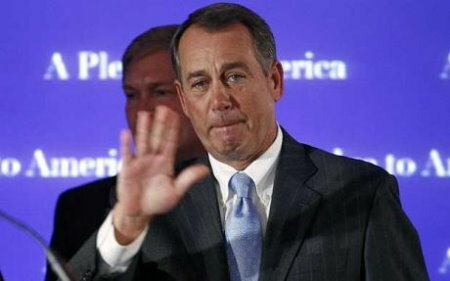 Boehner DESERVES to lose his job. Will it actually happen? We’ll see soon enough.